As the migration of enterprises to the cloud picks up steam, Oracle is intent on keeping up. It has taken to refreshing its SaaS applications twice a year, bringing them up to feature parity with its on-premises software and adding brand-new features for e-commerce and internet-centric supply chain management. Oracle Cloud Applications Release 13, announced Wednesday, is the newest iteration of the company’s cloud-based business applications. It upgrades the user interface across all the apps and delivers new capabilities for supply chain management (SCM), ERP, human capital management (HCM) and the CX Cloud Suite for customer experience management. Enterprises are looking to cloud computing as a way to slim down IT staff and infrastructure, focusing on core competencies and trimming costs along the way, said Brent Leary, co-founder of CRM Essentials. Oracle is battling entrenched rivals like SAP and Salesforce as well as newer cloud-era competitors, but it has one of the broadest product lines in the industry. “Oracle has built up a really big presence in almost every category from the enterprise business applications perspective and now it’s about attracting their current customers who are using their more traditional stack to the more flexible cloud-based technical infrastructure,” Leary said. “A lot of these companies don’t want to have huge IT staffs and if they can find a solution that allows them to get away from maintaining old systems and infrastructure, they’re looking at it –- that also allows them to take the next step and focus on implementing new business models that are more agile, and implementing service experiences that allow them to engage with customers,” Leary said. Oracle has refreshed the UI for its SaaS applications to give it a more contemporary look. Oracle also sees an opportunity to expand its customer base to young companies that are leapfrogging older businesses by going directly to SaaS products, said Steve Miranda, executive vice president for Oracle Applications Product Development. "Before the cloud you had a higher barrier of entry for Oracle," Miranda said. "You needed an IT staff and a data center to buy Oracle." 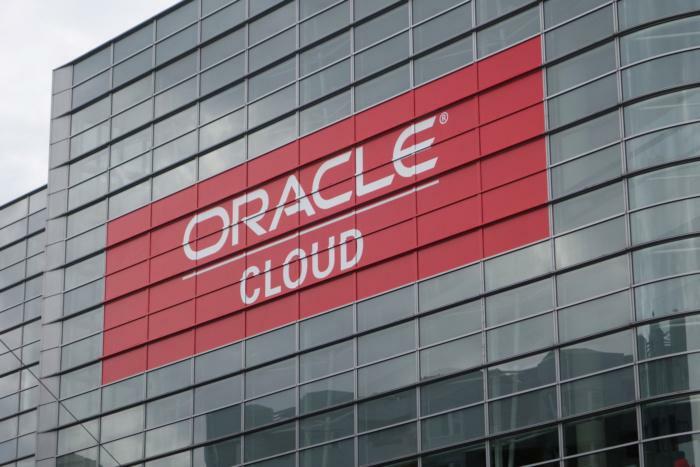 Oracle reports that in its last financial quarter, ending May 31, about two-thirds of all its 868 new cloud ERP customers (not including NetSuite, which Oracle acquired last year) never had the company's ERP before. During Oracle's fourth-quarter earnings call for analysts, it said that it had about 13,000 SaaS customers, or 25,000 including NetSuite. SaaS revenue for the quarter was up 67 percent year-over-year to $964 million. This was so significant for the company that it was the first number it reported in its press release announcing the results. "We have a big installed base now and they've been giving us feedback on the UI," Miranda said. "Release 13 is a big improvement in the UI across the board with new visualization capabilities and new mobile abilities throughout," he said. Oracle has brought the concept of responsive design to its cloud software, so that the UI adapts to the display of users' device, whether they are mobile phones, tablets or laptops, Miranda noted. "The UI refresh is also about staying contemporary with the way the apps look and flow," he said. "For example you see web pages now that scroll vertically, getting away from train-style (navigation) where you go from one page to the next page and the next and so on." Among the additions to Oracle's supply chain management family are new applications for Sales and Operation Planning, Demand Management, Supply Planning, Collaboration, Quality Management and Maintenance. The company has also added a more complete feature set for its Manufacturing app line, with IoT capabilities. "The IoT capabilities let you ingest data from devices and then visualize that data and run business intelligence on that data to make better decisions, get proactively notified when machines are running slowly or when you have an anomaly taking place in your supply chain or in the products that you produce," Miranda said. The customer experience management product line includes a new application, Oracle Engagement Cloud, designed to help companies increase customer satisfaction and up-sell opportunities. Features include so-called social listening (monitoring social media) and co-browsing capabilities for customers who come into a website and ask for help. Website help capabilities are key for e-commerce, noted CRM Essentials' Leary. "You need to invest in help features for your web site because when customers come in you have seconds, not minutes, to take advantage of the opportunity or they will go away to whoever will help them the fastest," Leary said. Oracle is also adding functionality for some vertical markets such as high tech, where companies do distribution through third parties. The new features extend what are normally in-house salesforce automation features to third parties, allowing companies to do what's being called partner relationship management, Oracle's Miranda said. New enterprise resource planning features include dynamic discounting, which allows companies to set discounts based on demand (or lack thereof) from customers, or for example, an oversupply of product in warehouses. Multi-funding features have been added for verticals like government and education sector organizations, which do financial management around grants and RFPs. Localization capabilities have been expanded for Brazil and India. Oracle's HCM suite includes new human resource learning management features that let employees share how-to videos, and allow their colleagues to give thumbs-up or thumbs-down ratings. Businesses that tend to have unionized workforces, such as retail and health care companies, now have the ability to use flexible work models that are increasingly in demand. Major markets in North America, Europe, Asia and South America have additional localized functions -- such as for country-specific accounting regimes -- right out of the box, rather than having to use customization features to get their software to comply with local regulations. Pricing for Oracle software is based on users and employees. For example, for software that does not require many users, such as human resources applications, pricing is based on employees in the company, not simply the number of users.